The task force charged by Provost Jayanth Banavar to review the structure of the College of Arts and Sciences has begun its work, with two meetings scheduled for Tuesday, Jan. 22. Both meetings are open to the campus community. Also this week, the task force is launching a survey to elicit input from colleagues across campus. The deadline for responses is Friday, Jan. 25. 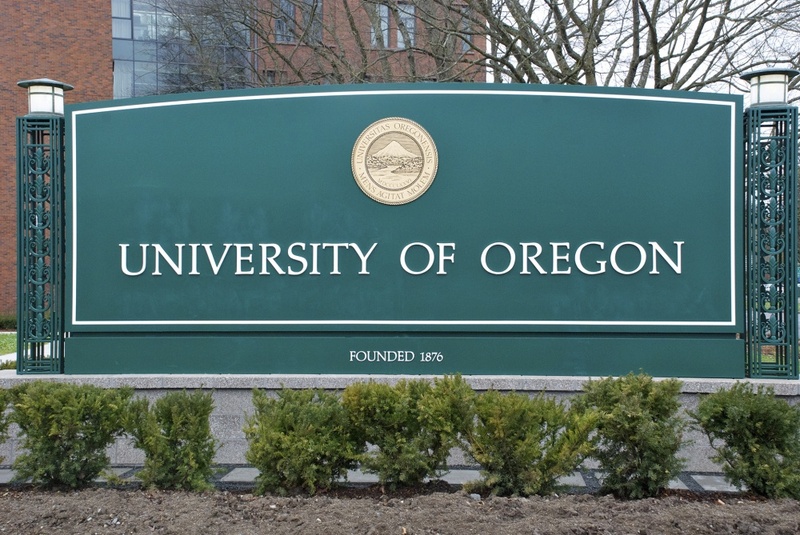 The task force will meet from 10 a.m. to noon Jan. 22 in Room 260, Condon Hall to receive an extensive overview of university decision-making, finance and budgeting from UO leaders. This information will provide a foundation for the second meeting that day, from 1-3 p.m. in the Miller Room in the Erb Memorial Union, at which time the task force will determine how it will proceed with its analysis. 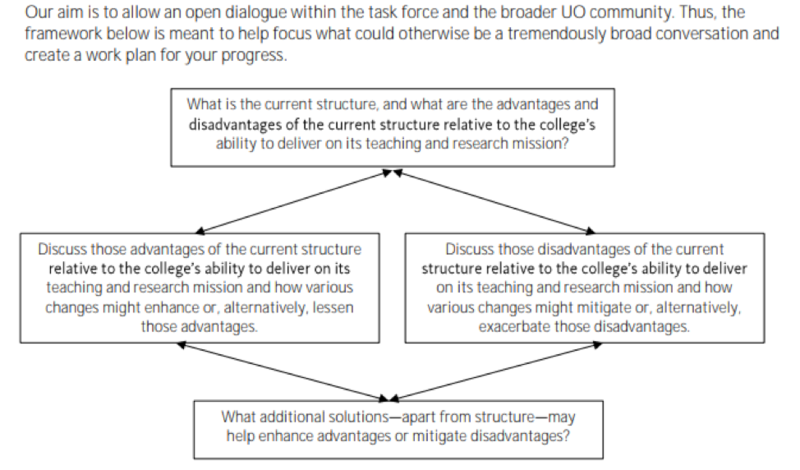 Banavar has directed the task force to “conduct an analysis of the costs of and benefits to making structural changes to the division of academic programs currently housed in CAS, and those in professional schools which may better align with current CAS departments or vice versa.” His full memo to the task force, which further describes the charge and a discussion outline, can be found on the provost’s website. The task force will begin by considering the current structure of the college, as indicated in the topmost box. As it enters each phase of its discussion, it will also ask for community feedback via an online survey. “In an effort to receive as much community input as possible, we are initiating a series of surveys in alignment with the task force deliberations on the questions the president and provost have asked us,” said Karen Ford, senior divisional dean for humanities and task force chair. The survey launched this week aligns with the task force agenda, asking for comments and ideas related to the current structure of the college. Later surveys will ask for input related to the other three topic boxes above. This week’s survey can be accessed online. Ford encourages those interested in responding to this survey to attend the 10 a.m.-noon meeting Jan. 22 to learn more about the current college structure.